Shift after shift, day after day. That's the PACK MULE promise.
. That’s the reason we build them like we do. From single pallet carts to highly configurable tracking trailers and order picking carts, Pack Mule can solve the most demanding application difficulties. Designed and manufactured in the USA, our product teams will work with you from start to finish on your material handling solutions. 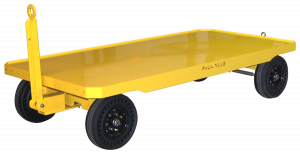 QUICK SHIP is Now Available for many PACK MULE Towable Carts! Contact us TODAY for models ready for IMMEDIATE SHIPMENT. 6-Wheel "Center Pivot" 4-Wheel "Quad Linked" 4-Wheel "Caster Steer"
Got a problem? We build solutions. Fast. 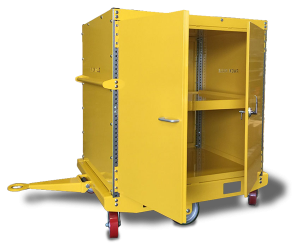 If you can't find a standard Pack Mule trailer to fit your needs, we’ll provide the engineering and application design resources to manufacture one that does. Plus, we’ll get it to you in half the time other trailer manufacturers require, sometimes a lot less than half. We’ll be glad to provide a trailer for you to try, doing your work in your work environment. When you use it, you’ll see that the Pack Mule trailer is stronger, safer and built to reduce both downtime and maintenance.